CX FINANCIA, will be attending the International Wealth Forum on the 06 June 2018, with our representative Xenia Neophytou. 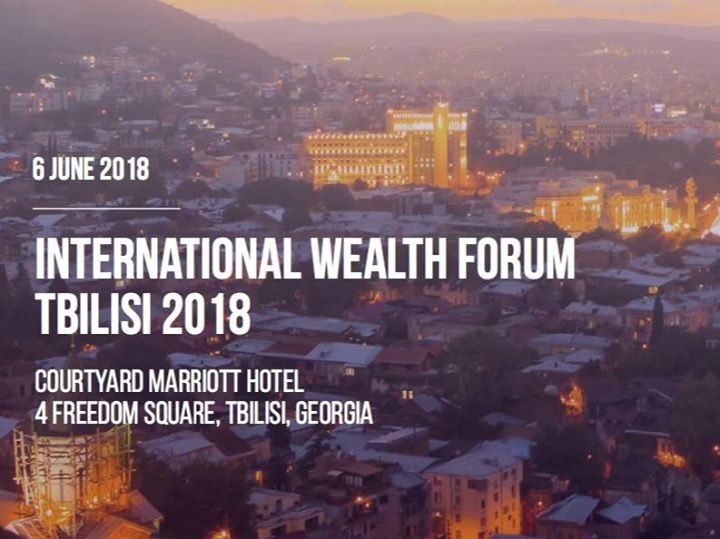 The conference takes place at Courtyard Marriott Hotel, Tbilisi, Georgia and is focused on Wealth Management and Investments services, issues and regulations. The industry sectors involved are Banking, Financial planning and retail investment, Asset management & wealth protection, Tax consulting & tax planning, Corporate services, Accounting / Audit, Immigration & Citizenship, International trade (export & import operations). The conference addresses to Funds & Trusts seeking yield enhancement, Companies seeking efficient cash management, Individuals & Entities seeking capital preservation solutions, Investors seeking global diversification and frontier market opportunities and Investors or Wealth Managers / Advisors seeking capital preservation solutions. If you are interested in the services we can provide for these industries, we encourage you to contact Xenia Neophytou directly at the event, or our firm at info@cxfinancia.com in order to set up a meeting.